Dr. Meenagh studied medicine at Queen's University Belfast, Northern Ireland, where he graduated with Honours and trained in Rheumatology at Musgrave Park Hospital and at the University of Ancona, Italy. In 2005 he was awarded a Doctorate of Medicine from Queen's University Belfast. He received a Diploma in Clinical Education from Queen's University Belfast in 2013. He is a Fellow of the Royal College of Physicians (London) and a Fellow of the Royal College of Physicians of Ireland. 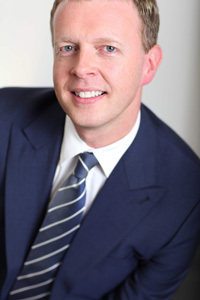 He is a member of the British Society for Rheumatology and the Irish Society for Rheumatology. He is a member of the organising committee for the Advanced Rheumatology Sonography website promoting the diffusion of musculoskeletal ultrasound within rheumatology in Europe. Currently he acts as an Educational Supervisor for Queens University Belfast overseeing the training needs of junior doctors at Antrim Hospital. Dr. Meenagh has a wide research portfolio including osteoarthritis, systemic lupus erythematosus and early inflammatory arthritis. He continues to collaborate with co-workers at the University of Ancona, Italy publishing articles regularly on musculoskeletal ultrasound in rheumatology. Dr Meenagh provides a full diagnostic service to patients with rheumatic disorders (including joint or muscle pain or arthritis) and will develop a personalised management plan to treat your complaint andï¿½discuss your concerns. Dr Meenagh is a well recognised expert nationally on the use of musculoskeletal ultrasound scanning to aid rapid diagnosis and provides this service to appropriate patients at the time of consultation. 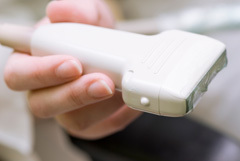 Dr. Meenagh may use Ultrasound guided injection to treat the condition. Dr. Meenagh is registered with the General Medical Council and is on the Specialist Register for Rheumatology (GMC Number: 4207382). Professional Indemnity provided by Medical Protection Society (Membership No: 239685). Technique, Anatomy, Semeiotics and Pathological Findings in Rheumatic Diseases. 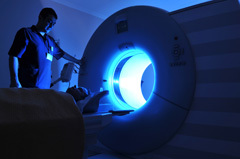 MRI examinations may be required to help diagnose the condition. ∧ Top of Page | All content © 2017 rheumdoc.com | Dr. Gary Meenagh, Consultant Rheumatologist, Belfast, Northern Ireland.